How Do I Check My Credit Score In Canada? Where Can I Get My Free Credit Report In Canada? We offer free credit score checks! Within minutes, you’ll know what number in the credit score range in Canada, between 300 and 900 represents your credit habits. The problem with just knowing your score, though, is that you’re unable to see the specific items on your report that led to this score. What you might need to do to improve your credit won’t be apparent with just your score, so obtaining your full credit report is a better idea. You can grab your free credit report once per year from both Equifax and TransUnion. This is going to be a great start to understanding what you need to clear up to improve your credit score. So, What is considered to be a good credit score in Canada? It also helps to know the bar of what makes a good credit score in Canada. If your credit score is anywhere above 680, it is considered better than the average credit score in Canada. There’s the bar, now how are you going to rise above it? What’s In My Credit Report? Your credit report is going to have all the gory details of your credit history for at least the last six years. You’re going to see every credit product you’ve had in that time; if you paid those products on time and whether or not you’ve defaulted on them. Your credit report will also include any late payments you may have made, how much over your minimum payment you’ve gone and what different types of credit you’ve had. Included in your report will be personal information such as previous addresses and employers. This information is to help ensure you are who you say you are when you request your credit report or credit products in your name. 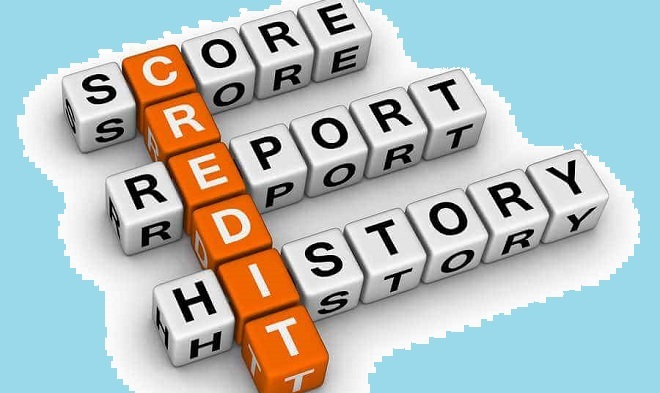 You may also notice recent credit inquiries on your credit report. If you’ve recently applied for some credit, as well as any bankruptcies or consumer proposals you’ve had. You’ll quickly notice any errors on your credit report, which could be just a clerical mistake or an indication of identity theft. You cannot fix any of these things without first knowing they’ve happened. What Are The Advantages Of Paid Credit Reports? Both Equifax and TransUnion offer paid packages for obtaining your credit report which begs the question, why? If you can get one credit report from each for free every year, why would you choose to pay for it? The answer is simple: you get to see your credit report online whenever you like and check your score more often. You can watch your credit report closely and see what effect the changes you’re making are having. Both TransUnion and Equifax offer plans that give you unlimited access to your report and score. There are a ton of bonuses, though. These plans can come with identity theft protection and alerts when something changes on your credit report. It gives you unlimited access to their customer service representatives who can answer all your credit-related questions. They offer internet scanning for your personal information so you can catch potential identity theft faster, as well as lost wallet assistance should you have misplaced your wallet. The fees associated with plans like this start at around $17/month. It’s important to see this expense as an investment, because having unlimited access to your credit information is going to be an invaluable bonus for anyone looking to improve their score. What Should I Be Looking For In My Credit Report? The first thing you need to understand is that potential lenders will always look beyond just your credit score and so should you. You need to know what a potential lender might see before you apply for new credit, so you can think about putting yourself in the best position possible. Look for errors, as well as any signs of fraudulent activity. You should look for derogatory items which are items on your credit report that indicate a late payment or an insufficient payment. You should look to see if any credit products are being listed as having been defaulted on. If any of this is incorrect, knowing about it is the first step to clearing it up. If it’s all correct, at least you know what you need to improve. Ensuring all your personal information is correct is important as well. Look at the mix of credit you have showing on your credit report and what your credit usage percentage is. These are all things that can help you improve your credit score exponentially. Looking for more insight into reading and understanding your credit report? Read our helpful guide. If you’ve taken our advice and reviewed your credit report, and discovered you do, indeed, have poor credit, you still have lots of options open to you. Start building your credit right now with Refresh Financial.